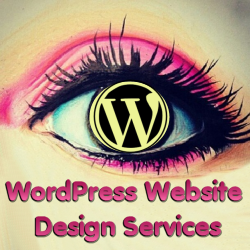 I offer WordPress web design services to bloggers, businesses, and other types of websites. My rates are affordable, but also extend to larger websites that need in-depth design, development and attention. My usual per hour rate s $75/hour, but I do know with people who are bootstrapping, I can offer minimal packages. I can work with graphics created by other designers, convert from PSDs (layered graphics) and HTML to WordPress, or create my own graphics. I am no set preference on design as I strive to create a design that fits each individual client’s tastes. If your style isn’t seen on my WordPress web design portfolio, don’t worry. There’s ways for me to find out what suits you. I love challenges, so bring them on! Please take a look at the design packages offered. If your website project requires more pages or extensive development work, or you’re not sure what package to select, please select Other in the form below. Normal project time varies between 2 to 6 weeks. Rush projects within a week or 2 weeks are double the rate and you should select the Other option. After your form has been received, I will contact you to confirm and ask any further questions based on your form’s information. Once that has been done, I require half of the project up front to start, and the other half at the end. Note: Rush orders under 1 week are double the rate. What colors would you prefer for your website? Please refer to http://colourlovers.com for a color palette. Leave the link of the color palette. Do you have an idea of what you would like to have on your website? Are there site's out there that have specific design elements you like... if so please list? What is your site or blog about? Please list any other information I need to know for your project. Did someone refer you to here?